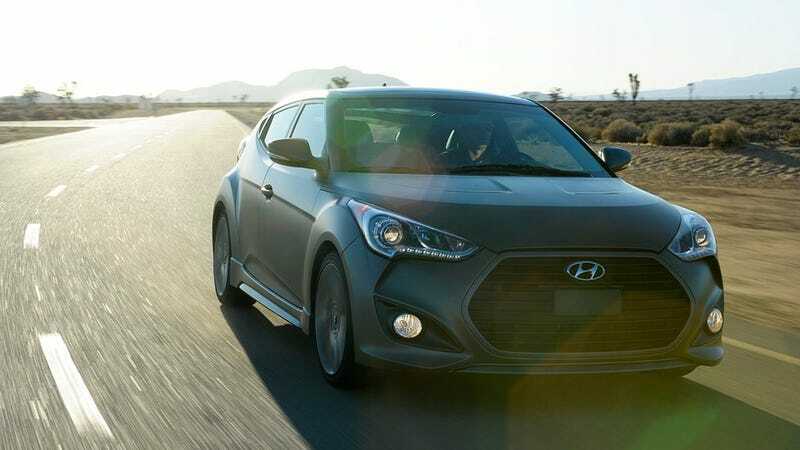 Hyundai Motor America CEO John Krafcik told Inside Line that the Hyundai Veloster Turbo will retail for $1,600 more than the base model. That's $19,675 — just a hair under $20,000. We doubt that many people will actually get a Veloster Turbo at that price. Krafcik mentioned in the same interview that the average dealer transaction price of a current non-turbo Veloster is already $21,302. Still, $1,600 for an extra 63 horsepower (up to 201 mechanical horses), heated seats and some leather trim ain't bad. UPDATE: We've heard from Hyundai that Inside Line got it completely wrong, thus pulling their post. What they really meant was that the ENGINE ITSELF would cost $1,600 more. With everything else the cost will be a lot higher. Don't believe everything you read on Edmunds.